A teenager has died after being hit by a car near a pedestrian crossing. 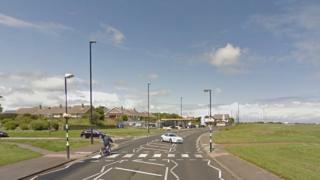 The 18-year-old was struck by a Renault Megane on the A193, The Links, in Whitley Bay at about 21:45 BST on 7 May. He was hit near the zebra crossing south from the Briar Dene Pub. Northumbria Police said he later died from his injuries. The force said two men had been arrested and urged any witnesses to come forward with information.